I enjoy the stories of high adventure, huge magic and exotic locations. They're fun, fast and exciting, and I get plenty of entertainment from a plethora of creatures threatening the heroes in alien landscapes as wizards blast a multitude of fireworks from their fingertips while chanting and gesticulating, and warriors wear impossible suits of armour and wield their two-handed swords one-handed. But this isn't the kind of fantasy world I would like to live in. In the 1980s I had two fantasy loves; the television show 'Robin of Sherwood' and the books and radio play of JRR Tolkien. Robin of Sherwood was a low-fantasy take on the classic legend, with Herne the Hunter, and ancient pagan God of the forests, proclaiming that Robin was his son and that he was here to protect the innocent. There was very low-key magic, mysticism and adventure, a heady mix of pseudo history and fantasy, like the 'one God had come to drive out the many' (as Merlin in the movie 'Excalibur' quite correctly put it). It was quite excellent and the adventures that Robin and his companions had were complemented by the excellent characters in the ensemble and the great writing of Richard Carpenter. This was my kind of fantasy, and my kind of gaming setup; a small band of connected friends fighting against the odds. Then there was my favourite thing in the world; Middle-earth. The stories of Tolkien, in particular The Hobbit, the Lord of the Rings and the tale of the Children of Hurin, was exactly the kind of stuff I liked best about the fantasy genre. The history of Middle-earth is an explosion of high fantasy, with Gods at war in heaven and tragic high adventure on the surface of the world, but I was more interested in the events of the second and third ages, where the action was centered around a smaller selections of heroes and the grand exploits of history were stories and myths. This gave the setting depth and a realism I have never come across in any other fantasy work. I wanted my own creations to adventure in the low-magic world of the Third and Fourth ages as this felt like a place I could explore and learn about, and old ruins existed for much more involved reasons than simply a place for characters to have a bit of an adventure in. As with Robin of Sherwood, Middle-earth had a reality to it that was tangible and this was primarily thanks to the movies of Peter Jackson, which gave it a look and atmosphere so real that everything had a place. Robin of Sherwood had the reality of history to frame it. This is my kind of fantasy. Low-magic, character-driven adventure in which the story and the decisions the characters make drives the fun and frolics. High fantasy magical fireworks and improbable armour is window dressing. When you can tell a superb story with a sword, a run-down castle and a few curious friends then you've got real substance. Just to be clear, I never introduced the Cthulhu mythos to Middle-earth. What I did was something I had planned to do for a long time and that was to use the Cthulhu: Dark Ages BRP system to run a campaign in Tolkien's world. Why not just use BRP or Runequest? Well, those system as they are don't really appeal to me due to the options and some rules that I thought complicated the game, because after a couple of years playing 'simpler' systems such as Basic D&D, Dragon Warriors and Star Wars D6, I didn't want to get bogged down. We did flirt with D&D and even Pathfinder, but it was agreed that BRP was the best fit for what we wanted to do. The adventure began at the small settlement of Hedgehome by the westernmost entrance to the road through Mirkwood. Who was the Traitor General, and why has the village of Fortuin been abandoned? It worked really well, quick and easy and it had a great atmosphere. I'm thinking of changing the Sanity system to a form of corruption, in which the characters may be influenced by the darkness seeping from Mordor... Right now I have no need for magic, but I'll probably use a cut-down version of the Runequest magic system. No magic missiles or fireballs, just some defensive, light and nature spells so that it fits in with Tolkien's world. One of the defining artists for me in my early gaming years, David A Trampier, has sadly died aged 59. OK, The Art of Blizzard Entertainment is BIG. Blizzard have finally opened their art department archives for their flagship games and the art is really, really... really good. It is, mostly, World of Warcraft art (which you would expect when you consider the number of releases for that IP and the amount of time it has been running), but it also features plenty of art from Diablo and Starcraft. The last few pages also includes art from games which never made it past the concept stage but sadly there isn't much of this because, as it explains in the book, Blizzard weren't very good at sorting their art back in the early days and much was lost. Who is this book for? Well, fans of the respective games will like this book. Your liking will increase with each game franchise you happen to have enjoyed, so if you're a fan of WoW, Diablo and Starcraft then you will just geek-out over this book (as I did). Also, fans of concept art books would like this book but with that price tag I'm guessing there won't be many buyers who aren't fans of the games. Any complaints? Just one, and it will sound like a weird one considering the size of this book, and that is there should be more of it. If the different games had separate art books released for them (as WoW has) then there would be more spread across all the books. Because this has been put into one volume you feel as though it's been edited down. So basically, what I'm saying is, I'm sure there's lots more art work for Diablo and Starcraft (WoW is well catered for in this book) and I would have loved to see it. In Conclusion; is it worth it? Well, let's not pretend that it isn't expensive. But how does that price compare? It seems like a pricey book at first but when you compare the cost to other art books it actually doesn't seem so bad. It's really quite a decent price for nearly 400 pages of quality art in a hardback format. So the price is not, in my opinion, so bad (if you can afford it). Is the art worth it? YES. Yes, yes, yes. There is an embarrassment of riches of art in this book which will easily please fans of the games. But not JUST fans of the games. Lovers of fantasy and sci-fi art will also enjoy the work contained herein. I guess it comes down to a checklist system. Are you a fan of the games? Are you a lover of concept art? Do you enjoy a nice big tome of a book which takes the better part of an hour to flick through (even when you're not really studying the pictures in too much detail)? If the answer to 2-3 of these questions is yes, then move to the final question. Can you afford to part with the money? If yes; buy it, feel happy and regret nothing. An epic volume of art and behind-the-scenes insights, The Art of Blizzard® celebrates the studio s genesis by examining the creative forces behind these games and showcasing their artistry through more than 700 pieces of concept art, paintings, and sketches. Commentary on the art is provided by Blizzard Entertainment s own Nick Carpenter, Sam Didier, and Chris Metzen, who ve each played important roles in shaping Blizzard s game universes over the years. Over the past two decades, Blizzard Entertainment has had a tremendous impact on the world of games and global pop culture. From its humble beginnings as a three-person-console-game development studio in 1991 to the creation of the blockbuster Warcraft®, Starcraft®, and Diablo® series, Blizzard has a history of crafting stunning worlds of science fiction and fantasy. The company s distinctive gameplay and storytelling styles have captivated an international audience numbering in the tens of millions whose passion cannot be quelled. 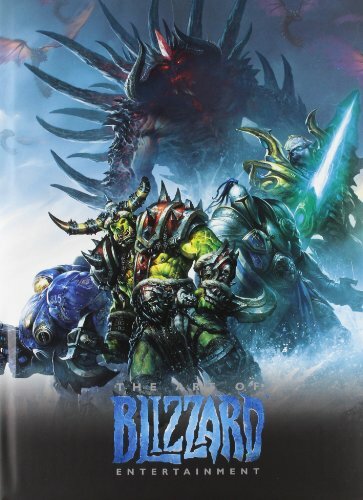 Twenty years after Blizzard opened its doors, the company s World of Warcraft® boasts the title of the world s most popular subscription-based massively multiplayer online role-playing game, and the studio is widely recognised as one of the leaders in creatively driven game development. Sci-Fi Weekender - road trip! This week I'll be at the Sci-Fi Weekender 5, a popular event running from March 27th to March 30th. I'll be there reporting for Farsight Blogger and Jedi News along with Mark Newbold, Star Wars Fan Extraordinaire. It's my first full-on sci-fi convention - I usually do fairs and general conventions - so I'm one part excited and three parts terrified. I've heard nothing but good things about this convention so it should be fun! Now in its fifth cycle, The Sci-fi Weekender continues to promise the ultimate Sci-Fi experience. Quite simply it's a festival of fun and activities for people who love science fiction and fantasy. SFW5 will be packed with activities for fans: big-name guests, interviews, Q&A sessions, movie screenings, comic workshops, video gaming, music, book readings and plenty more. It's all about bringing like-minded people together for a weekend structured around a core 5 pillars.... the entertaining Imaginarium, the sweeping Masquerade Ball, the Multiple zone culture, featuring, Gaming, Comic, Author, Screening as well as the fiendish Sci Fi London quiz nights. The Sci-fi Weekender attendees will get the chance to fully immerse themselves in a sci-fi & fantasy culture. Fans can discover how comics are made, discuss burning issues with their favourite author, or be among the first to see exclusive screenings of films and TV shows. Look out for a full report soon, assuming I make it back alive. There was an amazing TV show when I were a lad called 'Knightmare', and it had kids guiding their helmet-blinded friend through blue-screen worlds of tricks, traps and danger. It was great fun, and it's being shown every Saturday in the UK on Challenge TV. If you've not seen it or remember it as fondly as I do then check it out, it's really great fun. A group of dudes have decided to try a convention in Norwich on 9 May 2014 - 11 May 2014, at EPIC studios - the studios in which the Knightmare was filmed. However, before the convention can go ahead, they need to raise enough money for the event. You can pledge here to help. (from the Knightmare website) Knightmare was a fantasy adventure game show, shown on Children's ITV in the UK between 1987 and 1994. It was created and produced by Tim Child and was a Broadsword Television production for Anglia Television/ITV. The show made extensive use of the 'Cromakey' (blue screen) technique to generate rooms and scenes with different backgrounds and graphics. The adventure was set mostly in a dungeon, and there were three 'levels' corresponding to difficulty. Teams of four took it in turns to challenge the dungeon to complete a 'quest' - usually to retrieve a symbolic object, such as a Crown or Shield. The dungeon master 'Treguard', and his assistant occasionally helped teams along their way as they solved problems, puzzles and riddles. The 'dungeoneer' is the one person of the team who is guided through the adventure, and wears a helmet to blind them from reality. He or She is guided by the three other members of the team, known as their 'advisors', who sit in the dungeon ante-chamber and watch the adventure through a 'Magic Mirror'. The object of each quest was decided at the start, and teams would be awarded with a medal or FrightKnight trophy upon successful completion. Sounds like fun? Then help out as a sponsor. Go the the Knightmare Convention website for more details. I was going to give The Comic Cover Art of Dungeons & Dragons Volume 1 a middling review because the art isn't of any particularly great quality. In fact the picture on the front cover is the best one, really. But then I had to stop myself and take into account that this isn't the books fault, but mine for having too high an expectation. After all, the book is clearly called the COMIC cover art of D&D, so I shouldn't have been expecting anything more than comic cover art. My silly mistake. So, what's inside? Basically what the book title says and if that's all you want then you'll be happy enough. If you want an idea of what the pictures are like then bring to mind the marvel and DC comics you'll have seen in the newsagent. Then imagine that style but for D&D. I know that sounds obvious, referencing comic covers to explain comic cover art, but it's important for you to have a good idea of what the art's like if you're going to have a chance of enjoying this book based on expectation. Even so, it's not an outstanding work and will really only appeal to true fans of D&D more than lovers of art. Following in the footsteps of the Dungeons & Dragons publications that have come before, the covers of Devil's Due's Dungeons & Dragons comics feature cover art that is evocatively beautiful and stand as works of art in and of themselves! 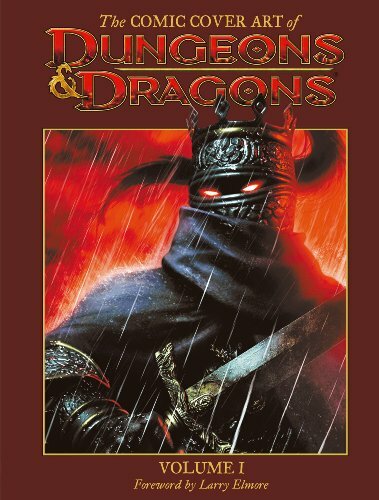 For the first time, every cover from the Forgotten Realms, Dragonlance, Eberron, and Worlds of Dungeons & Dragons series is collected in one gorgeous coffee table book! It is my esteemed pleasure to welcome to Farsight Blogger Jay Little, the designer of Edge of Empire, Age of Rebellion and Force & Destiny. Jay also designed the award-wining Star Wars: X-Wing Miniatures game, Bloodbowl: Team Manager card game and Warhammer Fantasy Roleplaying Game 3rd Edition, and he contributed to Rogue Trader, Death Watch, Dark Crusade and Only War - now he's the lead on the Mutant Chronicles 3rd Edition. Hello, Jay, and welcome to Farsight Blogger! Perhaps you'd like to tell us a bit about yourself? I’m a lifelong gamer geek. Over the years, I’ve done a lot of different things in a lot of different industries. Within the hobby gaming niche, I’ve worked as a freelancer as well as worked directly for WizKids and Fantasy Flight Games. I love talking about game design, philosophy, and theory with people -- something I’ve had the opportunity to do with students of all ages, conventions, trade organizations, podcasts, and the Minnesota Institute of Art. Outside gaming, I’ve battled a number of serious health conditions. I suffered my second heart heart attack in 2011. It was so severe that I went into complete organ failure and had to be placed in a medically induced coma. When I regained consciousness, I was initially paralyzed from the neck down, and faced a number of other complications. Ultimately, while I regained most of my faculties and use of my limbs, the wear and tear on my body made it impossible to continue working full-time for Fantasy Flight Games -- a tough decision because FFG has some of the most creative, most passionate people I’ve ever met in my life. However, working as a freelancer has provided flexibility to pursue a number of different, exciting projects. How did you get involved in the wacky world of tabletop gaming? I got involved with roleplaying with Dungeons and Dragons. I was eight and my older brother was the Dungeon Master. I still remember those early sessions. I played a lot more roleplaying games in high school and college. Boardgames were something our family did growing up. I cut my teeth on mass market staples like Monopoly, Risk, and Stratego. But soon I found a wide, wonderful world of different boardgames. Games like Talisman, Car Wars, Cosmic Encounter, Wiz War, and Warhammer 40k started to become regulars at the table. I’ve been fortunate that gaming has always been part of my life, and I love sharing my enthusiasm for this hobby with other gamers. Your work on the X-Wing Miniature game and Star Wars: Edge of the Empire has been met with great reviews and welcomed by eager fans - how did you get involved in the development of the games? I was working with Fantasy Flight Games at the time. I had worked hard designing and then managing the Warhammer Fantasy Roleplay 3rd Edition product line for some time, and had started cutting my teeth on some boardgame work by designing the Horned Rat expansion for Chaos in the Old World and Blood Bowl Team Manager the Card Game. And then I just got lucky. X-Wing sort of fell into my lap because I had an opening in my production schedule. I was thrilled that I would be getting an opportunity to work with such a huge license -- and focusing on one of the most dramatic aspects of Star Wars by designing a game of dogfighting starships. Edge of the Empire and the Star Wars Roleplay line was a bit more straight forward. Since I had designed the narrative dice system used in Warhammer Fantasy Roleplay, it made sense for me to lead the design team for the Star Wars games. How did it feel to be part of such a huge license? Was there any pressure? It is simply awesome to be able to work with Star Wars. It has had such a huge impact on my life, and now I’m sharing that excitement with my kids. It’s fun and thrilling and exciting and even a little scary... because the expectations are very high. I knew games using the Star Wars license would be met with great scrutiny from everyone involved, from my fellow FFGers to LucasFilm and the millions of Star Wars fans around the world. Your newest project is the eagerly anticipated Mutant Chronicles 3rd Edition RPG. How did you get involved with the license? Chris Birch from Modiphius Entertainment contacted me as they were gearing up to start the Mutant Chronicles Kickstarter. We had a number of talks about where he envisioned the license going and the sort of game experience he wanted the roleplaying game to deliver. It didn’t take long to realize we had a lot of the same goals in mind and shared a common vision for a cinematic, action-packed style of gameplay. After that, it was easy to get onboard. I couldn’t wait to get started, and worked tirelessly with Chris and the rest of the crew to get the Beta rules out there to give folks a glimpse of what’s still to come. You say that Mutant Chronicles "..played such a big part in getting me involved in hobby gaming..." What is your history with this particular setting, and what do you feel is the attraction it has to many gamers? In addition to the roleplaying game, two games in particular had a huge impact for me. First, Blood Berets delivered a really cool, focused two player experience with tension and excitement and really made me want to learn more about the setting. Then, there was Mutant Chronicles: Siege of the Citadel, designed by Richard Borg. Siege of the Citadel blew me away. It had some of the best production value components of its day -- gorgeous miniatures, sturdy, colorful map tiles, and cards all featuring this evocative, dieselpunk artwork. Siege of the Citadel was awesome because it created this hybrid experience which was part tactical boardgame and part roleplaying game with this awesome campaign system. It’s one of my Top Ten Games of All-Time, and something I still love to pull out and play. Heck, I even tracked down extra copies of the game, just in case components start to wear out since it gets played so much. What fresh ideas are you hoping to bring to the new Mutant Chronicles game system? I love promoting player agency -- providing players with the resources and rules that will allow them to do cool things with their characters and advance the narrative. There are a few ways this is being implemented -- the players have Chronicle Points, which they can use to add dice to a roll or perform extra actions, essentially letting their characters push their limits in dramatic ways. I’ve also dabbled with different ways a game can represent training, and looking at what benefits training in a particular skill should be able to provide to the character. Does training make something easier to do -- or improve your chances for achieving a greater magnitude of success...? The skill system in Mutant Chronicles will provide a few interesting wrinkles to the game. Are you making any drastic changes? Will it be far removed from the editions that have come before? There are a number of changes that are quite different from earlier editions. Many of these changes, however, are more of a modernization. The earlier RPG editions were developed during an era featuring a very different type of roleplaying experience than today -- not only because the audience and players have matured, but there have been a number of design improvements and schools of thought we can use to make sure we do the setting justice while delivering fun, dynamic gameplay. What else can we expect see from Jay Little in the future? More Star Wars? More Mutant Chronicles? At any given time, I am working on a number of different projects. Unfortunately, most of them I can’t talk about. However, I do have some games in development that I am really excited about. Right now I am working on a co-op survival game called Patient Zero, which pits the players against a mutant strain of a deadly virus. They work together to explore cities, gather resources, and gain intel in their effort to track down the origin of the virus -- Patient Zero -- and attempt to destroy the virus before it’s too late. I also have a number of indie-style roleplaying games I’m working on. The Coriolis Defect is a time travel adventure where players have the ability to consciously “loop” time, but only in small increments -- and using this awesome power slowly wears away at their sanity. Tall Tales is a game of folk heroes in the American frontier, where the players portray larger than life characters like Paul Bunyan and Pecos Bill. Perdition is a game of lost souls stuck in purgatory, trying to resolve issues from their lives that prevent them from moving on. And finally, What Lurks Beneath is a quick playing one-shot game pitting the players against an unknown horror that they collectively create during the game. I have a lot of big plans and crazy ideas I’m excited to work on. Hopefully, folks will be seeing more and more of me as time goes on. Way back in the blog scene of 2008, there was quite a bit of discussion about what is the best way to present a dungeon. Old adventure modules from the 70s were examined for inspiration and then new ideas were introduced to attempt to convey as much information about a dungeon as quickly as possible without overwhelming the reader. Out of the discussion, the "One Page Dungeon" format evolved. For the next 4 years, one of the judges from the original 2009 contest (Alex Schroeder) diligently took up the mantle of coordinating the contest. Thanks to his dedication the contest was held for the next 4 years; 2010, 2011, 2012, 2013. There have been over 350 entries combined after five years of contests, covering a versatile range of playstyles, settings and genres. Best of all, every entry is licensed under the Creative Common Attribution-Share Alike 3.0 license for all to use. Read about the history of the "One Page Dungeon" to get a feel for the concept. The submission must be put under the "Creative Common Attribution-Share Alike 3.0" license. Each submission must have a title, an author, and a link to the license (http://creativecommons.org/licenses/by-sa/3.0). The submission must fit on one side of one page of paper (US Letter or A4). Remember that the judges may not know the exact game system you play, so a good strategy is to avoid using too many system specific stats. Submissions can be replaced/revised up until the submission deadline. Only the last revision will be considered as the official submission. Submissions with extremely small font sizes will (most likely) score low with the judges. Keep in mind that the submissions will be printed out on paper by some judges. The file size of the PDF should be under 6MB. A link to a web page or blog article can be submitted along with the PDF and it will be posted to the contest page. Kickstarter - Tabletop Taverns, for RPGs and gamers. Here's a cool Kickstarter for something I always think is a good idea for gaming tables - nice and easy scenery. For all 28, 35mm tabletop gamers, fold flat, easy store buildings which make a range of flat topped Inns and taverns with roofs. 'The artwork has been done by the awesome Mortis Logan. The target we need to raise will pay for the print run of the card boxes and a payment for the artist. Simply put, they are a set of practical, high quality, laminated, fold flat, cardboard buildings for use with any 28mm wargame/tabletop roleplaying system. After many years of table top role-playing and dozens of self printed buildings used as props we really wanted a decent set of durable buildings that fold/stack away for easy storage and are almost infinitely reusable. My first instinct was to be a bit annoyed about this book. The reason being that it states, very clearly, across the top of the cover, that this is an art book. 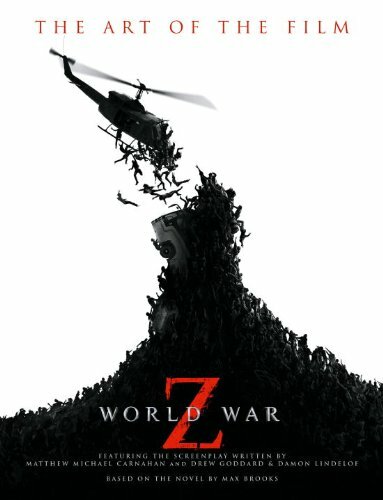 It is even listed as 'World War Z -The Art of The Film'. But really it's more of an illustrated screenplay. At the bottom of the front cover it says that the book contains the concept art and features the script, I'd say that it contains the script and features some of the art. However I have seen books that have done this to a worse degree (the art of Star Wars Episode 4 was particularly annoying) and aside from, in my opinion, misrepresenting itself it is a decent and well put together book which does feature some of the concept art, along with photos and production shots, and presents the script in a nice and accessible style. So in summation I would say this; If you're a lover of art books and only want it for that then give this book a miss. If you like to get film scripts then you'll like it because as a script book it is pretty good. If the people making this book had just been more honest about what this book is then they could have avoided a number of unhappy customers (as I'm sure there will be). World War Z is the eagerly awaited film starring Brad Pitt. World War Z: The Art of the Film is the official illustrated companion to the movie, and features a wealth of stunning production art, design sketches and storyboards, alongside the full shooting script. When the first D&D film hit cinemas in 2000 there was a lot of trepidation on my part. I'd read about the troubled production and wasn't bowled over by the trailer, and the look and feel of the film just didn't shout 'D&D!' at me. In fact, it shouted 'TV Movie Pilot!' at me, but being a gamer I went to the cinema to check it out. I didn't like it at all, but I have equal disappointment and sympathy for the movie's director, Courtney Solomon, as he wanted to introduce some kind of huge world of adventure that unfortunately fell flat with a dull story, some bad dialogue, terrible effects and actors who were there to pick up a paycheck. This was his first feature but it is good to see that he's continued on in the industry in several capacities, so good luck to him - I'm sure that any one of us would have killed for the chance to get our hands on the budget and stars to make our own D&D movie, and this guy did just that. The two movies that followed were just as bad and even though I much preferred the atmosphere and feel of the second movie 'Wrath of the Dragon God' - the filmmakers had obviously taken some pointers regarding giving a semblance of reality to a world by watching the extras on the 'Lord of the Rings' Special Edition DVDs - it was still a bad film. I won't mention the third film as I only saw it recently and I'm still very sore. I'm sure as hell not going to talk about that animated 'Dragonlance' cartoon. So, we've got three movies for the D&D franchise that haven't done well and have been pretty much ridiculed for years. Has that destroyed any chance of a decent D&D movie? D&D is a lot of things to a lot of people and there's a lot that can be done with it. Fantasy movies, done right, can still bring in the crowds and with the success of the Peter Jackson movies and 'Game of Thrones' on HBO there's definitely a market out there for it in various incarnations. Perhaps the main problem with D&D is the aura of severe socially awkward nerd it still unjustifiably has hanging around it, and movie producers are concerned that people won't go and see it because of the stigma attached. I'm sure that someone out there will do something with it. Whether its a fun action TV show in the vein of 'Hercules' or 'Xena' - which isn't a bad thing - or a brooding serious show like 'Game of Thrones', it will work for D&D. D&D can be pretty much any kind of fantasy. You could say that as long as it alludes to the elements that make D&D what it is you don't even have to call it D&D, but surely it would then be just a fantasy movie. Maybe that's part of the difficulty. We just need to give it to a team that believes in the genre and the world, not just the game. It doesn't even have to be D&D - Pathfinder would work amazingly well. Either way, I've still got hope for a decent D&D live-action show. REDMOND, WA (March 11, 2014): Paizo Inc., publisher of the world's best-selling Pathfinder Roleplaying Game, as well as novels, game accessories, and board games, is thrilled today to announce the winner of the 2014 RPG Superstar™ contest. After 4 months, more than 1000 submissions, and nearly half a million votes, game designer Victoria Jaczko is 2014's RPG Superstar. Paizo will publish Jaczko's winning Pathfinder RPG module, The Daughters of Fury, set to release November 2014. "Victoria's design decisions—a grief-based magic item, an undead warhorse, a haunted chapel in a land torn by revolution, and a city besieged by a devil trying to collect a debt--are all unusual and interesting choices, showing she has the ability to approach an idea from a new perspective and present it in an intriguing way," says host and former RPG Superstar judge Sean K Reynolds. "Being able to come up with something new really struck a chord with the voters, allowing her to establish an early lead in the Round 4 voting and maintain that until the end." RPG Superstarconsisted of four RPG design challenges spanning several months, led by a team of celebrity judges, consisting of industry luminaries and Paizo game designers and editors. Now in its seventh year, RPG Superstar is Paizo's annual contest to find the newest talent in game design. For more information, please visit paizo.com/rpgsuperstar. Reynolds continues, "I'm very proud of this year's RPG Superstar winner. The judges often point out that the goal of RPG Superstar is to find the next superstar designer—someone who has well-rounded skills for creating fun magic items, interesting monsters, clever encounters, and exciting adventures. Victoria's progress through the challenges of each round shows that she can produce quality work, and I look forward to seeing her finished adventure module and her future contributions as a published designer. Congratulations, Victoria!" The Pathfinder Roleplaying Game is the world's best-selling tabletop RPG, in which players take on the role of brave adventurers fighting to survive in a world beset by magic and evil. The Pathfinder RPG is currently translated into multiple languages, and the vibrant Pathfinder universe has been licensed for comic book series, graphic novels, miniatures, plush toys, apparel, and is being developed into a massively multiplayer online roleplaying game. Paizo Inc. is the leading publisher of fantasy roleplaying games, accessories, board games, and novels. Paizo's Pathfinder® Roleplaying Game, the result of the largest open playtest in the history of tabletop gaming, is currently the best-selling tabletop roleplaying game in hobby stores. Pathfinder Adventure Path is the most popular and best-selling monthly product in the tabletop RPG industry. Paizo.com is the leading online hobby retail store, offering tens of thousands of products from a variety of publishers to customers all over the world. In the eleven years since its founding, Paizo Publishing has received more than 50 major awards and has grown to become one of the most influential companies in the hobby games industry. 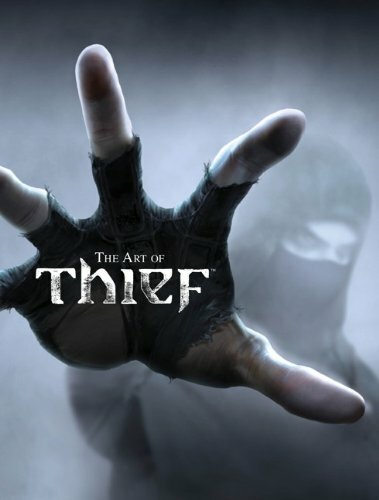 With 'The Art of Thief' Titan publishing has brought together all the elements of their best works to make their finest concept art book yet. Stylish, minimalist front cover? check. Succinct yet still remarkably informative text? Check. Clear demonstration of the iterative design process? To a decent extent, check. Oodles and oodles of gorgeous art that will have you flipping through the book time and again? Double check. If you already own any of the Titan concept art books for games (Assassin's Creed 3&4, Titanfall and the Halo art books are titles I particularly highly recommend) then you will already be familiar with the format of the book. Just larger than A4, hardback and around 200 pages (191 in this case) and with every page full of top quality artwork. They are the masters of making concept art books and this time they have distilled all that experience to create a superlative offering. But what about the art itself? As you would expect for a big ticket item such as Thief Eidos have not been stingy with the art department budget. The artwork is top tier material and a real beauty to behold. Obviously, given the nature of the game, it is predominantly dark and moody and the artist's ability to create a real feel for the world they've developed is spectacular. Indeed, you get a very clear feeling of just how much the city itself is a character. With misty Victorian-style streets and architecture, grim dockside warehouses and piers, depressing slums, vaulted ironwork structures, candlelit cathedrals, red brick sewers and disgustingly opulent mansions this is a living breathing world of decay, corruption and misery. And I love it. The art perfectly captures the mood and essence of the game. Being a stylised version of a Victorian setting there is also all of the gadgets and machinery which needed to be designed and I would describe this as Steampunk lite. Lots of brass, cogs and steam but without going fully down the road of Steampunk. It's more functional than stylish and that's completely appropriate given that The City doesn't foster frippery. The chapter on characters is nice and comprehensive although I would have liked to see more traditional 2D work. The artists use CG a lot and it's not my favourite kind of work but they do it so well that I certainly don't object to it. Lot's of interesting faces and costumes on show, here, as well as items, weapons and devices. There is a good selection of the many different civilian faces you can expect to see as well as some truly fantastic work on the City Watch guards. There are also a couple of other factions at work in The City which I won't go into detail naming or describing, suffice to say that their look and design is equally impressive. Garret gets a chapter all to himself and it has to be the most expansive exploration of a main character I've ever seen. There's costume details (right down to the different types of cloth and leather on different parts of his body), gadgets and weapons, a remarkable amount of close detail work showing specifics such as hands and eyes, detailed sketches of how Garret would move and operate things and a plethora of sketches showing all the different stances he would employ holding a variety of weapons. There's also nice colour work showing how non-lethal and lethal take-downs would work and, as though all of that weren't enough, just some stylish pictures of Garret for getting a feel of the character. Like I said, expansive. There is also a chapter on 'Loot, Puzzles and Props' which needs no further explanation. A case of 'does what it says on the tin'. Although I will say that this is where the best of the fine detail work can be found. From personal items to specific objects which are found at certain locations. There is a nice stonework chess table and benches which I will have made for myself and placed in the garden just as soon as I win the lottery. To round all of this off there are a number of other interesting pieces which can be found in the background of the game. Wanted posters, strange artwork which will be on the walls of the rich and mighty and which matches their character perfectly and embossed metal sign work, the really mundane stuff which is vital to make a place believable. Things like 'WAY OUT' signs and door plaques. That's how thoroughly this game has been visualised. There are also a couple of maps which are fun to look over. In summary I have to say that I can't recommend this book highly enough. Sure it's a work of dark, grim pleasure but it is excellent work, perfectly presented and a real gem for concept art fans. Lovers of dystopian visions, Victorian inspired cityscapes and well realised settings would also recognise this as a title worthy of note. Please welcome to Farsight Blogger Richard Denning and Tony Hyams, joint co-directors of the UK Games Expo. Richard founded the event in 2007 but Tony soon found himself involved. In 2013 the pair moved the event to the NEC Hilton Hotel as well as setting up a company (UK Games Expo Ltds) to run it, assisted by several managers. In this interview they answer questions about the convention. This year's UK Games Expo is May 30th to June 1st at the NEC Hilton Metropole. Perhaps you'd like to introduce yourself, and tell us about your gaming history? Richard: I am a GP in real life and , when I get the time, a writer. I got into wargames around the age of 11 after seeing an episode of Callan in which there was a Napoloenic wargame going on. Soon afterwards I discovered Dungeons and Dragons and Traveller RPGs. Most school holidays were occupied fighting out some World War 2 campaign or other or else exploring dungeons. This carried on into university days. Whilst I did play board games in those days I discovered euro-style games in a big way around the early to mid 90s. So I have pretty much tried all forms or tabletop gaming. Tony: I am a Christian minster (Rev) by trade and spend a good deal of my time preaching and teaching at churches around the country. I had no idea about gaming beyond chess and traditional card games until I found copy of "Warlock of Firetop Mountain" stuffed in a Christmas stocking when I was 14. I bought and played all of the FF series of books and one day found a reference to a game called Dungeons and Dragons in the back of the latest Fighting Fantasy book. I asked at school and a mate said he had a copy of the basic set and so my gaming life began in earnest. I played every rpg I could find while dabbling with board games and some miniatures but rpg's have always been my first love. Tell us more about the genesis of the UK Games Expo; when did you come up with the idea and how did you get it off the ground? Richard: In 2006 I helped to run a couple of gaming events in Birmingham. One was a wargames convention and the other an event called Game which involved a variety of organised play events. I had heard of Essen Spiel and Gencon (but never been) and I started putting out feelers about the idea of an annual event along those lines. Encouraged by conversations with a few board game publishers I soon afterwards attended Essen Spiel with Patrick Campbell and others. That was the trigger to organise the first UK Games Expo in 2007. I personally sent out thousands of emails and messages inviting gaming groups to attend. We attended dozens of conventions to promote the event. We then approached Easter 2007 and were getting desperate for a ticketing system to sell tickets from. That is where Tony comes in. Tony: I was sat in my office where I ran a small IT company as well as part time Christian ministry when I had a knock on the door from a friend. He asked if I could teach him to build a web based ticketing system. I said yes, he asked "In the next 4 weeks?". I laughed, I can build it in four but not teach you in four, and thus I was introduced to the UKGE. A hectic four weeks later and an introduction to Richard and we had a system in place. That first year I designed and ran the ticketing system which was not helped by my wife going into labour the Friday night before the expo opened. I told her "You can't have a baby now I've got the tickets and order packs to take to the expo in the morning" Apparently it doesn't quite work like that. However tickets were delivered in the morning and my daughter the afternoon which I got to with 30 minutes to spare. The following year I was doing the ticketing, the programme, the volunteers and the rpg schedule. It's obviously a huge job to arrange such a well-regarded convention. Can you give us an idea of what's involved from day one to opening? Richard: Each year’s planning really begins even before the previous year’s show because we are always having to look ahead 2 or 3 years and think about dates as well as expansion. The week after Expo we sit down and work out how we did and confirm the following year’s event. We usually get a bit of a break over the summer but even then are in touch and chatting about things. By September we have started to design our Trader pack for the following year. We head off to Essen and sell trade space. From October onwards we start booking in traders. Over the winter I am in touch with potential guests and in January we start work on seminar schedules, tournaments etc. We go live with the booking system in March and are pushing and promoting everything. Mick Pearson is recruiting Volunteers and John Dodd has been busy getting all the RPG events sorted. I send and receive thousands of emails every year. Expo is really a second job for us - in particular for Tony and I.
Tony: My work flow differs slightly from Richard's. There is a reasonably sophisticated admin computer admin system that helps run the convention. Richard and I live 30 miles away from each other and other managers are scattered around the country. A central admin system that controls the information is essential. I've run a small one-day convention myself and I had moments of frustration and near implosion; I even vowed never to do it again. The UK Games Expo is always a great success but there must be times when you want to pull your hair out, so what kind of pressures are there and how do you cope? Richard: There are huge pressures. Tony and I spend hours a week on Expo - increasing to pretty much every free hour from March onwards. As I said I am a self-published writer but the books tend to be abandoned for 3 months before Expo. I am just so busy that I have to book sometimes off work to manage the show. Many people seem to think we are a big organisation. We are not. There are just 2 directors and 4 other managers involved in the planning. That is all. We all have day jobs. In the end we do get a major buzz out of the event working. It still amazes me to see thousands of people turning up. That makes it worthwhile. Tony: There are two things that are difficult, one is frustrating the other makes you want to give up. As it has grown the knock on effects are what frustrate me the most. For example we had to switch from NEC car park E1 (next to the Hilton) to N2 because the NEC had a concert on the Saturday night. This not only meant we had to hire shuttle buses, an extra cost with no way to recover it, but had knock on effects for the Alien Laser Tag event. This is being put on the Hilton staff car park. No problem with E1 as the staff can park and walk to the hotel. Huge problem with N2 as we have to cover 24 hour hotel staff arrivals (more shuttles). A delay of a month, with costume/effects design on hold etc and just a huge amount of extra work to get back to where we were a month ago. The event is so big that every change can ripple through. The second one ? People who act as if we are trying to swindle them or do them a dis-service. We are gamers and both have jobs that are important to us. With all the time we put in it can be soul destroying when people post or email implying that we are just some corporate lackeys. However this is only a small minority but there are times we both feel the stress. The UK Games Expo covers a huge range of tabletop games so what can gamers look forward to this year? Richard: This year we seem to be attracting more international companies. Z-man games are back (they came last in 2008) and Zev is really cool. Lookout Games have a presence in an expanded Mayfair stand, Wattsalpoag return again and for the first time Steve Jackson Games have an official stand (not just demo space). Overall we have 20% more trade space and some 110 exhibitors which just means loads more to see. Tony: Paizo have show an interest in UKGE for the first time and are dipping their toe in with sponsored Pathfinder demos and a visit from Paizo staff. We have of course Alien Laser Tag which sees a return to a "Living" event like the "Living Dungeon" we used to run. More gaming space, more tournamnets, more seminars some great guests, Dragons Den for budding game designers and an expanded family zone. Richard: I actually really enjoy the setup. There is a sense of excitement and camaraderie when we pick up the vans and start loading stuff on the Wednesday. But once we walk in on the thursday and the trade halls start to take shape Friday it just builds. Oh there are stress moments when some trader thinks they booked a bigger stand or something but I love seeing the stands fill up. But I think for me the best time its walking around Saturday afternoon when it is all up and running and 3-4000 folk are just having fun - it’s that moment I love. Tony: I'm not so keen on the set up. This could be because I am responsible for the trade room mark up. Every stand has to be precisely (within an inch) marked up in the correct position and size. This has to happen from Thursday night, so last year didn't finish until 5:30am. Saturday afternoon is I think the sweet spot for both of us. By then we have pretty much done all we can, the rollercoaster has gone over the lip and we are just riding the ride. What will be will be. I haven't told anyone but I love going round on Sunday afternoon with the awards results to tell the lucky winners. I don't always get to do it but it makes me very happy when I see how delighted the winners are. It's not the public ceremony but that first time they know. What do you see in the future of the Expo? Bigger, longer, maybe more frequent? Or are you happy with it as it is? Richard: I think it can grow. I see no reasons why 10,000 attendees is not possible one day. I want to see Friday get more important and see more people arrive then. We have no immediate plans for 3 days of trade but its not impossible. But traders seem happy with 2. I honestly could not do 2 shows a year and manage the day job. BUT I could see it get bigger and maybe a little longer in time. Tony: In the small hours of some of the winter mornings, (3am) when Richard and I are working expo stuff through on Skype we talk about how it could go. The truth is we are both surprised each year how much it grows. There is always a feeling that someone who knows what they're doing will be along in a minute to take over. I don't think you can go more frequent, players don't have the holiday and we wouldn't have the time. Bigger, yes, games are starting to become more mainstream it is possible for it to break 10,000+ which would be mind blowing for a UK games convention. We are never happy with it as it is. I don't think that is in either of our natures to settle, it can always be done better, bigger with more cool events, guests and above all games. Three full days is definitely a goal and one we are working on by trying to pack more into the Friday. On Friday from 9.30 am till late there will be open board game games rooms available as well as Roleplaying sessions at the Hotel. Note that there is no trade show and no family zone, seminars or tournaments on Friday. Traders can set up on Friday. On Saturday 31st May and Sunday 1st June there will be full trade and public show, tournaments, seminars and family fun. This Kickstarter looks very interesting (and the concept artwork is excellent) - Orin Rakatha - RPG Fantasy Campaign. What makes this campaign world unique is the long period of time taken to create it and the collaborative approach in its initial invention; creating a vibrant and in-depth story concept in which to undertake a fantasy roleplaying game campaign in a wide variety of existing rule systems. Orin Rakatha is a world created out of real interaction between the referees, crew and players: the characters, stories, action and plot-lines have actually been played out, what we are putting to paper is an enormous collaborative work of living theatre that we feel will become a really exciting tabletop role-playing campaign game world. Orin Rakatha itself is a unique world where diverse peoples, often refugees, conquering armies or nomads come to settle and the land itself, being semi-sentient, permits these diverse cultures to live in close proximity; thus creating a highly colourful social and physical landscape. 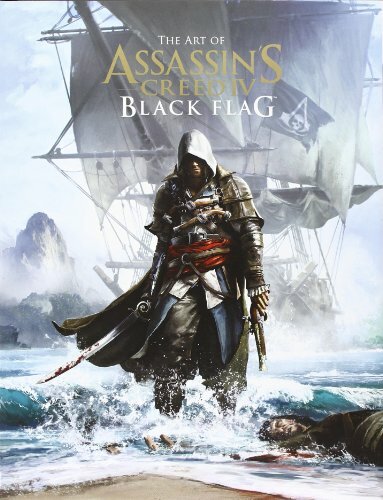 Titan continue their streak of outstanding art books with The Art of Assassin's Creed IV: Black Flag. The quality of the art is exceptional and the design and layout of the book shows the content in its best light. A good number of the pictures are full page and those that aren't are accompanied by commentary from the artists and designers. Titan have stood out from the crowd in the field of making art books for some time and this one lives up to all that has come before. This book is without question worth the cost. Fans of the games would no doubt be delighted with this book and even pirate fans would give this title a place of honour on their bookshelf. When trying to find any faults with this book (aside from my usual gripe of wishing there was more) I draw a blank. It's the kind of book you can flick through time and again and just get lost in the pictures. Looking through its pages has made me more and more certain that I want to buy the game. What happens when you pair a world class art team with a first rate book publisher? A-plus full marks, that's what. If you're a fan of the games, concept art, pirates or just amazing art in general then buy and be happy. When I ordered Star Wars Art: Concept I was expecting something good but I was still pleasantly surprised with how nice a book it is. It is a big, beautiful book filled with great artwork from all the films, some of the more recent games, as well as the spin-off shows and even artwork for things which never made it to production/release like the proposed Star Wars: First Assault and the now dropped Star Wars 1313. The art is unquestionably high quality and the way the book is laid out means that the pictures are given pride of place rather than lengthy descriptions and interviews. Those are all well and good in their place but an art book should show art and this one does it beautifully. own and was hoping for more previously unreleased material, especially from the original trilogy (my hopes being stoked by the incredible Ralph McQuarrie picture featured on the front cover). So while it's unquestionably well made, and there is quite a bit of artwork I haven't seen before, I'm still left feeling like it's missing something. In fairness I should probably point out that I say the same thing about most art books (seriously, read my other review of art books and you'll see it crops up fairly often). Who will get most out of this book? Star wars fans who don't already own any (or at least many) other star wars concept art books and those people, like me, who need to have a complete collection. Those two groups of people will be giddy as a kid on Christmas with this book. Other than that; fans of concept art will get a kick out of it and, lastly, just nerdy sci-fi geeks (also like me). As curated by George Lucas, the artwork that helped bring the Star Wars Saga to life is revealed in all its glory, featuring conceptual and pre-production drawings and paintings from the Original Trilogy, the Prequel Trilogy, TV shows (Droids, Ewoks, Star Wars: The Clone Wars, Detours) and the most recent video games, such as 1313. 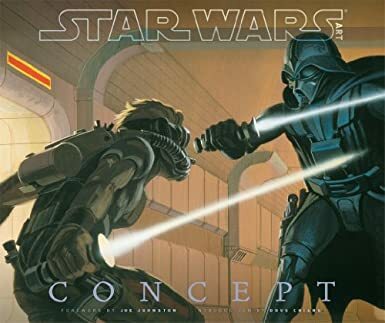 Spanning the years 1975 to present, Star Wars Art: Concept is a fascinating look at the highly specialised art of conceptual design, the process of taking verbal thought forms and turning them into visual masterpieces. From pen and paint and paper to the digital realm, the consistent result is the creation of breathtaking iconic worlds, vistas, vehicles and characters that have been seen before--and which successive generations of the public have embraced and made their own. Star Wars Art: Concept is a book unlike any other--and which could only be brought to you by the creator of the most enduring and popular saga of our time.